184 pages | 16 Color Illus. | 76 B/W Illus. A quantum leap in technology took place a few years ago with the introduction of cDNA arrays that have been developed in response to the need for simultaneous analysis of the patterns of expression of thousands of genes. DNA Arrays: Technologies and Experimental Strategies offers a view of different aspects of this rapidly developing technology, including oligonucleotide and electrochemical arrays. 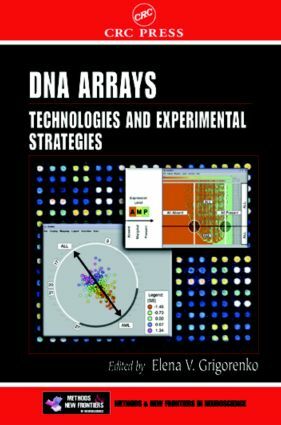 Distinguished investigators from academia and industry provide up-to-date insights into methodological fundamentals of construction of DNA arrays, optimization of hybridization conditions, the use of expression data in bioinformatics, software tools, and the application of microarray technology for drug discovery.